Not much extra commentary on these. The first batch is an older set (as you can tell from the "wrong" way stitching). I enjoyed painting the little house on the one on the left. 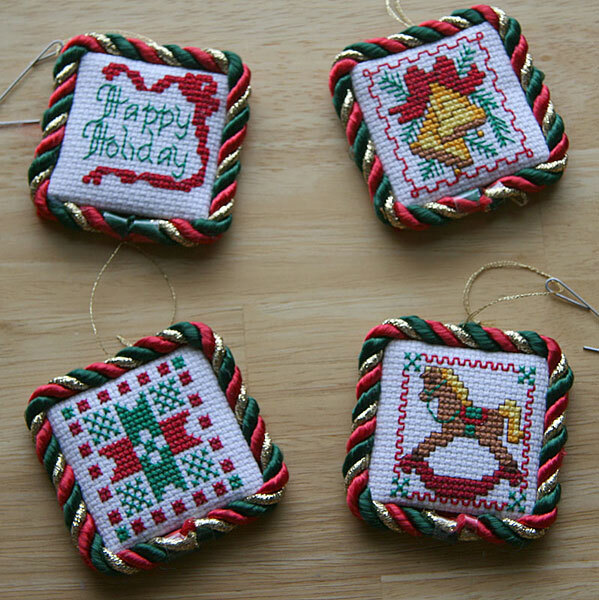 These are from those little kits you can find at the craft stores for about a dollar. They aren't the most challenging stitches, but they are fun to whip out on a lazy afternoon. 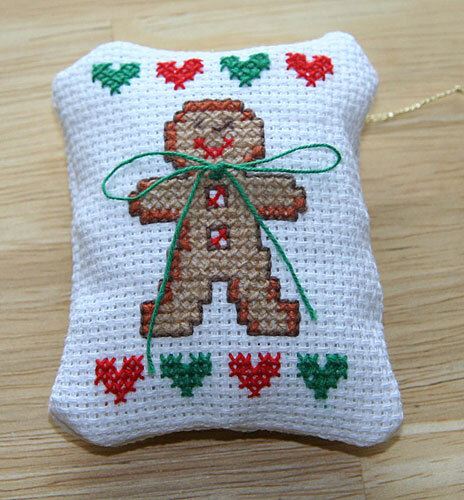 Cute little gingerbread man kit, stitched over 10 years ago. Some of my first experiments with beading and ribbon embroidery. 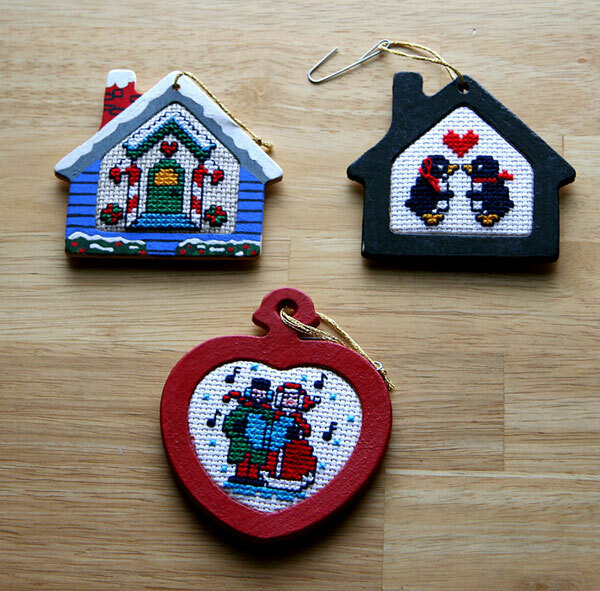 I think these are all from Mill Hill Beads kits. 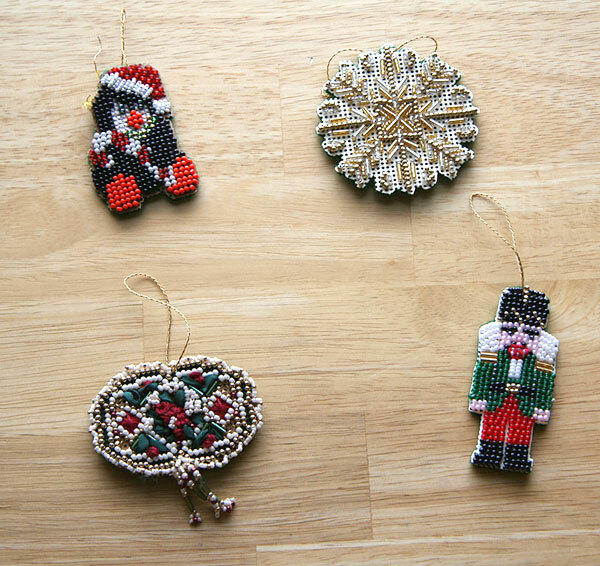 I think I have at least three more bead ornament kits somewhere in my stash.